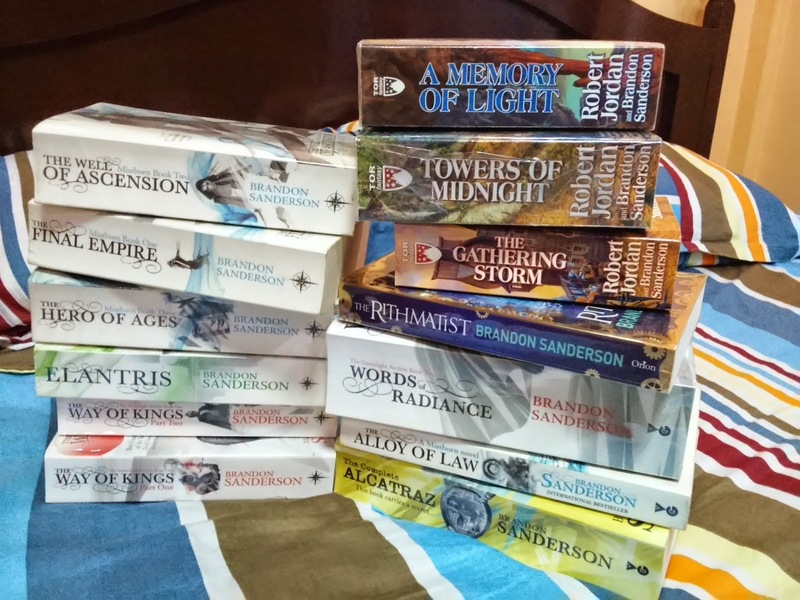 Of Fantasy and Brandon Sanderson - Life is so full of tae! I really have this penchant for fantasy reads. In fact, I have one shelf allotted for fantasy books only. I'm not going to apologize for this humblebragging, but I just want to show how much I really love fantasy. Why do I love fantasy so much? One word: Imagination. Perhaps, I owe a big part of my very wild imagination to the fantasy books I've read. Reading fantasy takes me to places I've never been, shows me things that never were, and puts me in situations that never could be. The possibilities are just limitless, imagination is the only limit. Fantasy genre is oftentimes sneered upon, perhaps because of magic, dragons, and whatnot that some people may find stretched too far away from reality, or simply just childish. But for me, this is far more superior than other genres because it is difficult to digest. If you're not into it, you'd puke before you even know it. But if you get the flow and the feeling right, you will definitely hunger for more. From children to dark to high to epic fantasy, I have already lost count how many books I've read. But one thing I know is for sure, right now, Brandon Sanderson is my new favorite author. I love his writing style. The intricacy and complexity of the universe he builds, the undeniably uniquely designed magic system, and the well-developed characters never fail to captivate me. I can devour 400 pages in one sitting. 1000+ pages in 3 days. And still have the appetite for more. Yes, it's that good. I am actually having a hard time reading other fantasy novels since Brandon Sanderson. I mean, I became hard to please at that. I was rearranging my shelf again, so I have to take these out. haha. There is comfort in arranging books from time to time, isn't there? But I'm not here to write about each book I've read. I'm a bad reviewer at that. And there's probably a hundred written about it anyway. But for those who are a fan of this genre, I would definitely recommend Brandon Sanderson's. I think his works are brilliant. Well, to put it bluntly, Brandon Sanderson is a genius. He simply puts the epic in epic fantasy. I know and I believe Brandon Sanderson will go down history like J. R. R.Tolkien as one of the best fantasy writers ever. 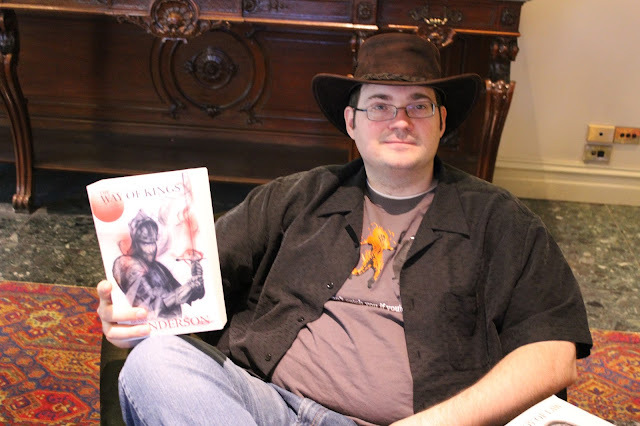 To Brandon Sanderson: Maybe you should consider writing mediocre, so-so, not so epic stories also. I wouldn't hate you for that. I am so okay with that because I would like to get some sleep sometimes. P.S. (to my real and imaginary readers) I am a fantasy fan. But I never really like Twilight. No. I do not like it at all. I hope I made myself clear.